It takes a lot for me to be truly impressed by an afternoon tea these days. With so many places offering it there is an abundance to choose from but it’s hard to find something exciting. Most serve up scones, some average little cakes, and the most boring selection of sandwiches (I mean WHO would ever actually choose a cucumber sandwich… or egg and cress…). My goal has been to find an afternoon tea menu that does something a bit different and original… but don’t you worry I have found it at Kyloe. Kyloe Restaurant and Grill is known for its gourmet steak and that cow that everyone jumps on for a photo op, it isn’t really somewhere you’d expect to find afternoon tea. Their afternoon tea menu is pretty new and when it was announced I was dying to go. During national afternoon tea week they had a half-price offer so I took this amazing opportunity to try it out. Spoiler alert: I was super impressed. Let’s start off with the savouries. I am a savoury over sweet girl for life (I’m not saying I don’t love cakes, I just get more excited about savoury food) and I think that’s why afternoon tea often disappoints me. When you love savoury food and you show up to cucumber sandwiches… I mean need I say more. Kyloe totally twists up the traditions and I was living for it. Inside a rustic wooden crate, you’ll find a delicious gin cured salmon on crispbread with pickled kohlrabi and cappers, a unique mini English muffin with duck pastrami and quail egg, and a cheese and pickle toastie with Applewood cheddar (which everyone knows is the best cheddar by far). Famed for their meat, their savoury selection reflects this with a beef focaccia with pickled onions and curry spices as well as a pulled lamb sausage roll. Everything was absolutely delicious, but would have to say the beef focaccia, Applewood toastie and mini English muffin had to be my favourites. Moving on to what most people love most about afternoon tea… the cakes. Don’t worry you’ll still find scones on the menu accompanied by their usual clotted cream and jam. In fact these are even more impressive as they aren’t those little mini ones some other restaurants serve, they're a decent size. Alongside this is a malted milk doughnut, a Nutella muffin and a gin and grapefruit drizzle cake (which was probably my favourite sweet treat on offer). If that wasn’t enough you also get a seasonal milkshake. Mine was strawberry and mint, the mint made gave it a refreshing kick. If you’re not nursing a hangover like I was on the day, you might fancy a little cocktail alongside your meal. The cocktails combine classic teas with alcohol, including an ice tea with Breakfast tea and peach schnapps, a gin and Earl Grey cocktail and a unique gin and jasmine tea drink. You can of course just opt for a glass or bottle of bubbly if you’re really celebrating. Included with your meal is a large selection of teas from classics to something a little different. There are a selection of loose leaf teas from Rington with fruity teas like strawberry and cream to relaxing teas like peppermint and camomile. Or you can stick to the classics like English Breakfast and Earl Grey. 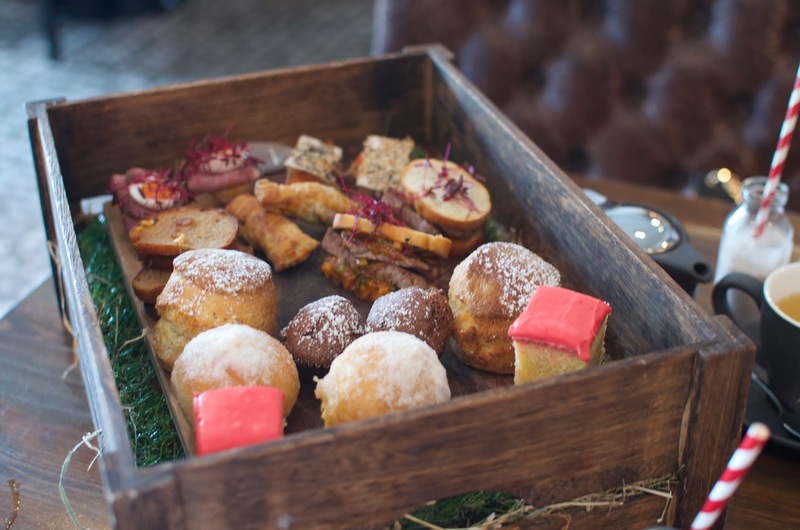 Overall, Kyloe’s afternoon tea is not only great value for money (you will leave with a doggy bag filled with what you couldn’t finish) it is one of the most exciting afternoon tea menus I’ve had in a while. It has by far the best selection of savouries I’ve had. It’s for sure going to be my new afternoon tea of choice when I fancy treating someone on a special occasion. I definitely recommend checking it out yourself. 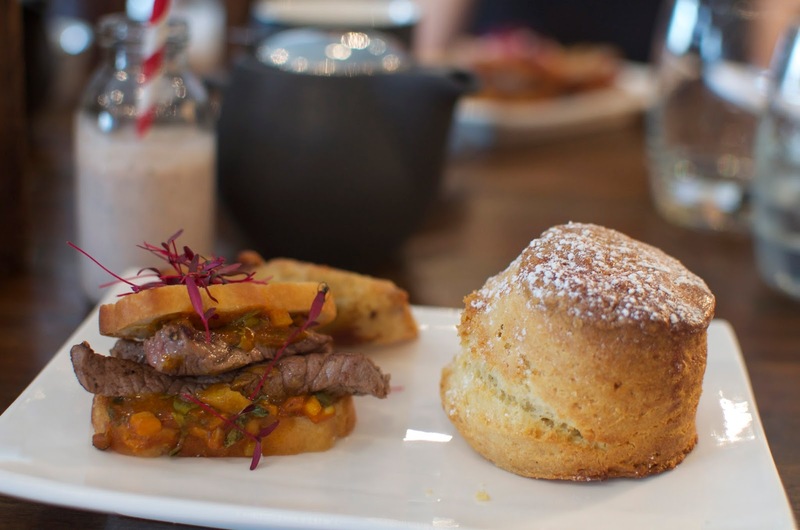 Kyloe’s afternoon tea menu costs £25 per person, or £32 per person for the menu with a glass of champagne. You will need to pre-book by 6pm the day before. Kyloe also offers gift vouchers for their afternoon tea, a great gift idea. Check their website out to see the full menu and any extra information. Looks amazing! Did fancy it when the offer was on but didn't get round to booking.